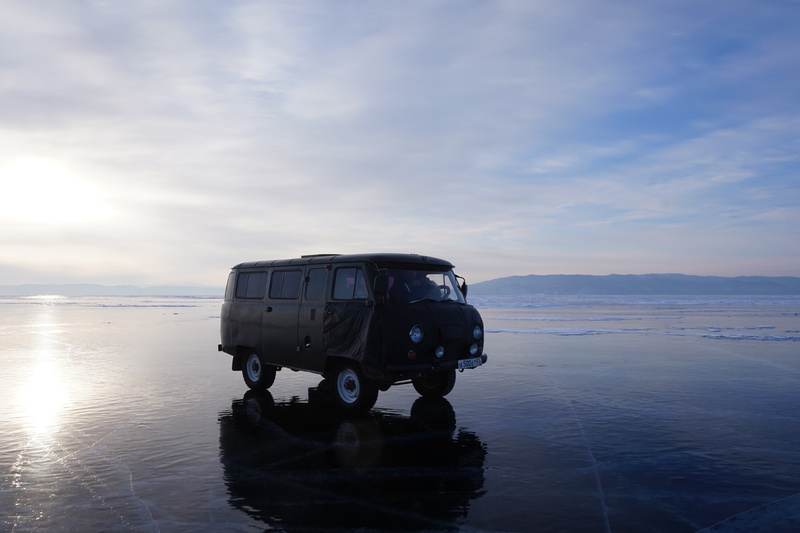 We were taken across Lake Baikal in this old Russian military van. 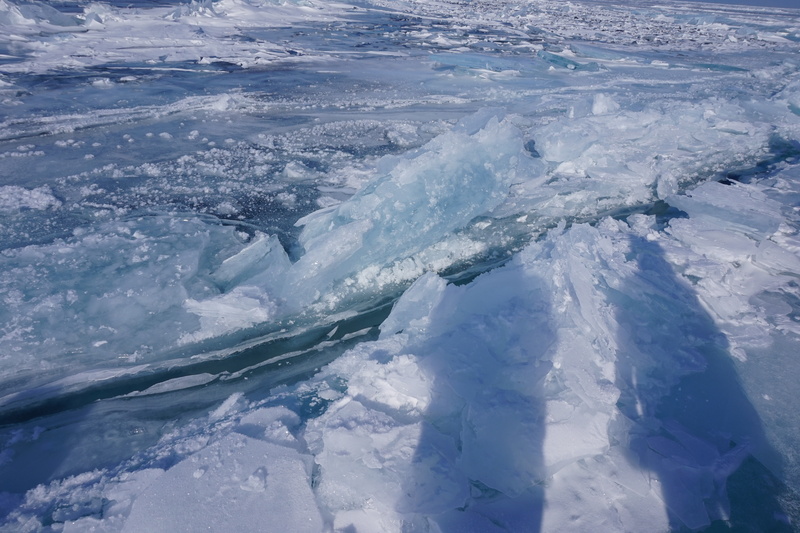 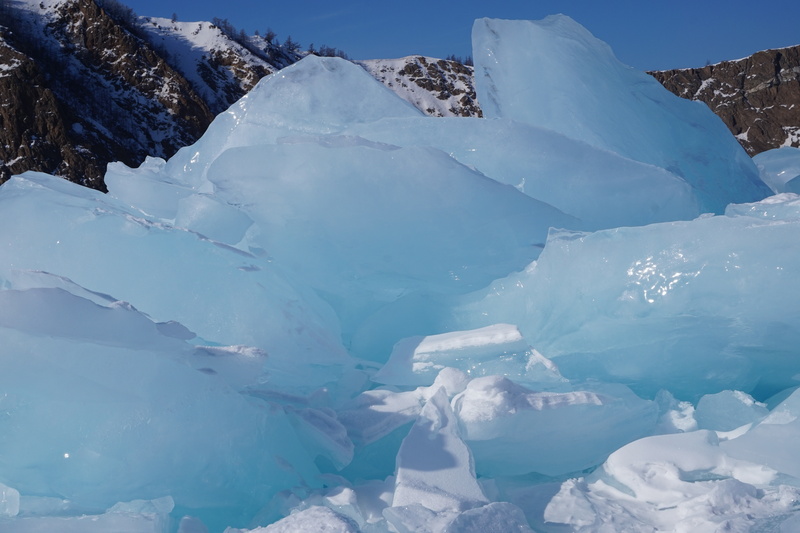 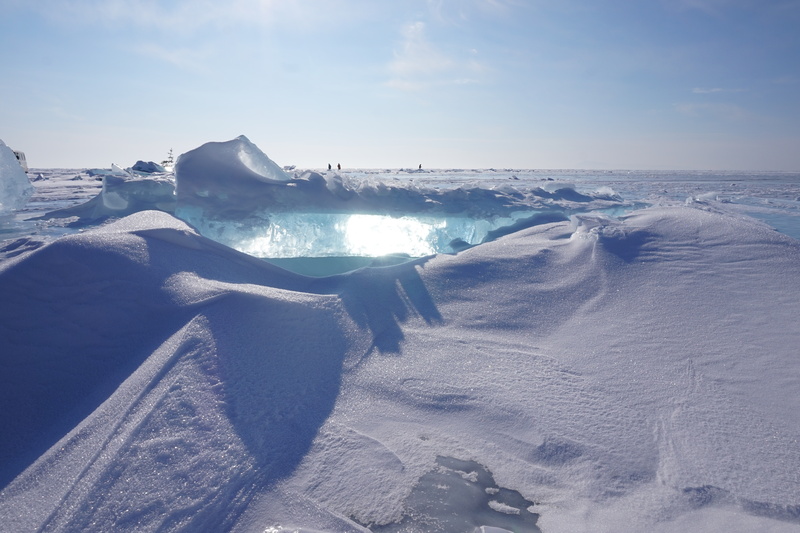 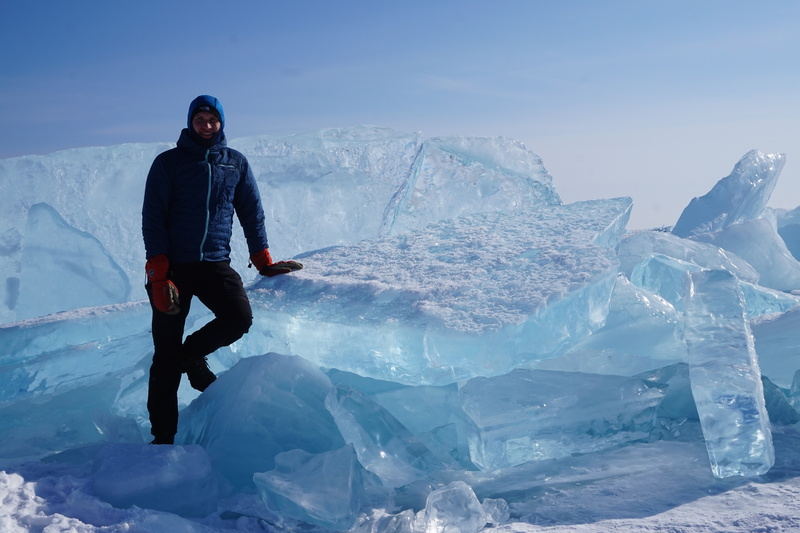 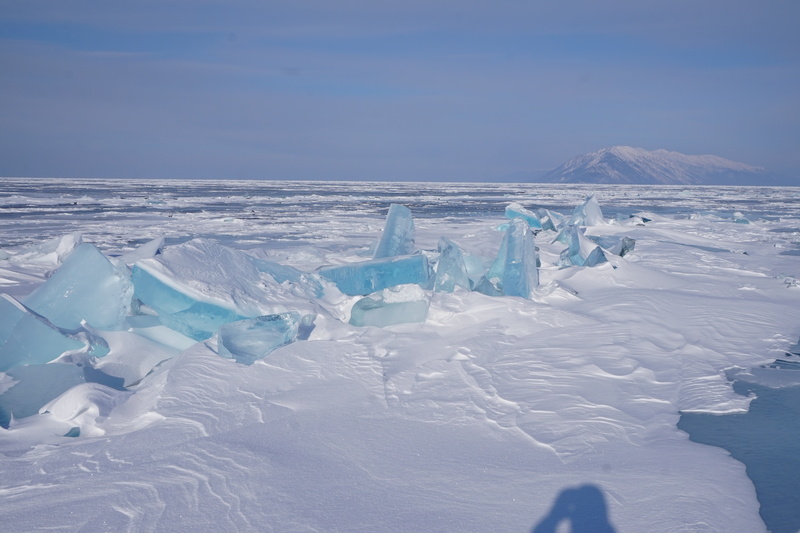 The lake is 1 km deep at this point, and the ice is 90 cm thick. 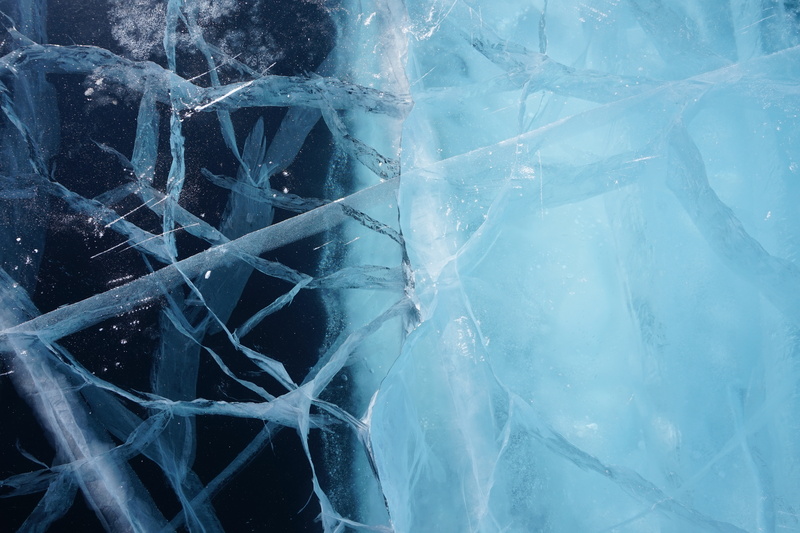 The ice is changing all the time, cracks open and close. 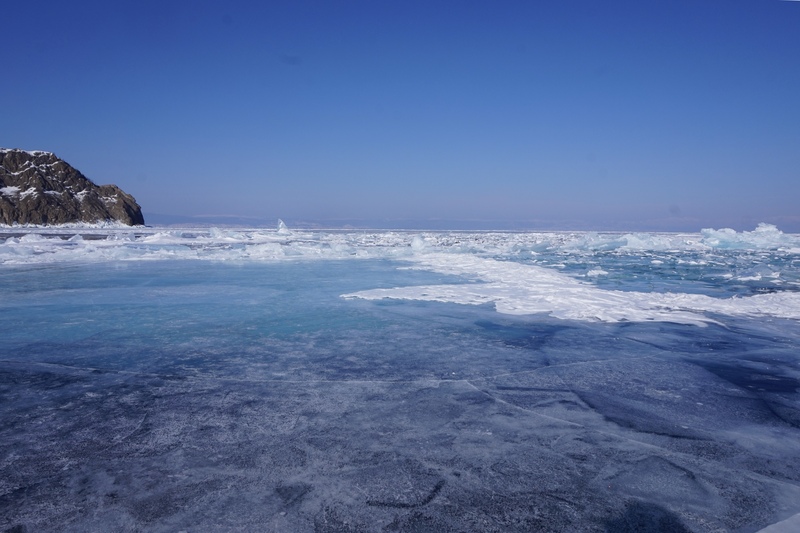 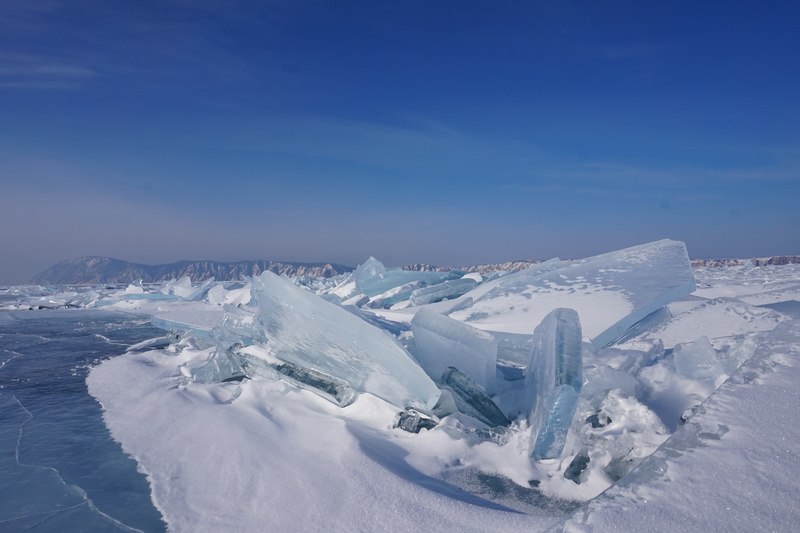 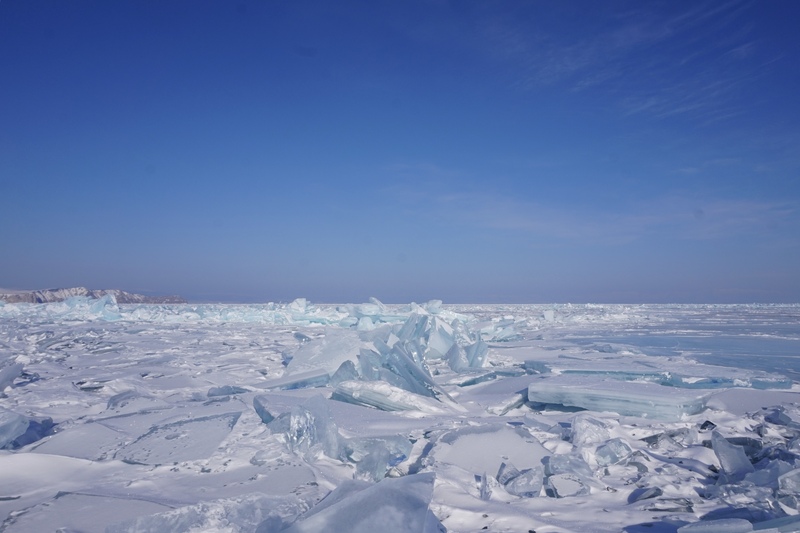 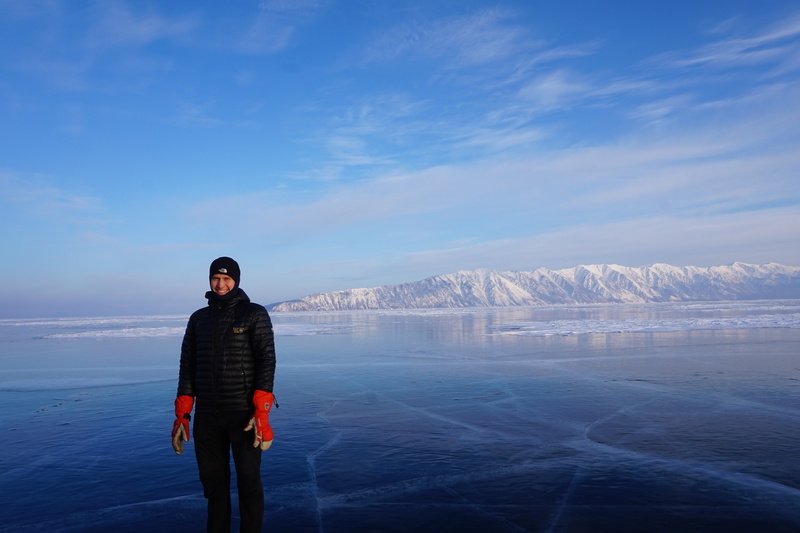 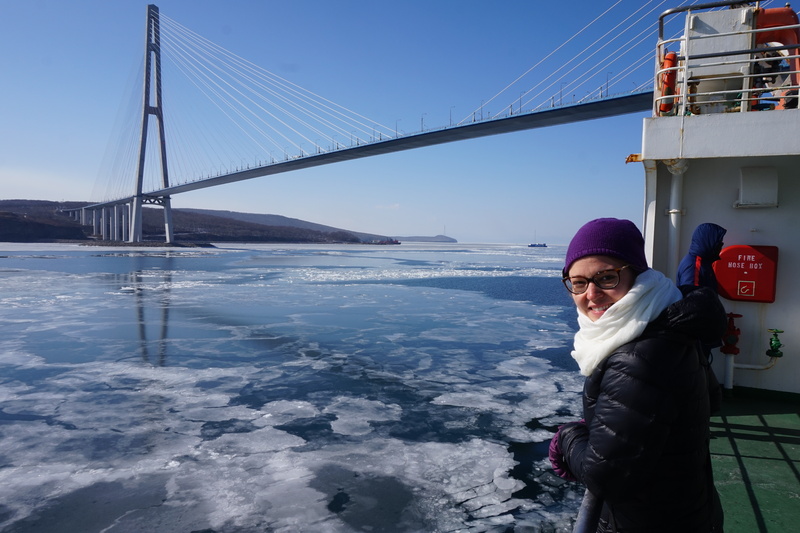 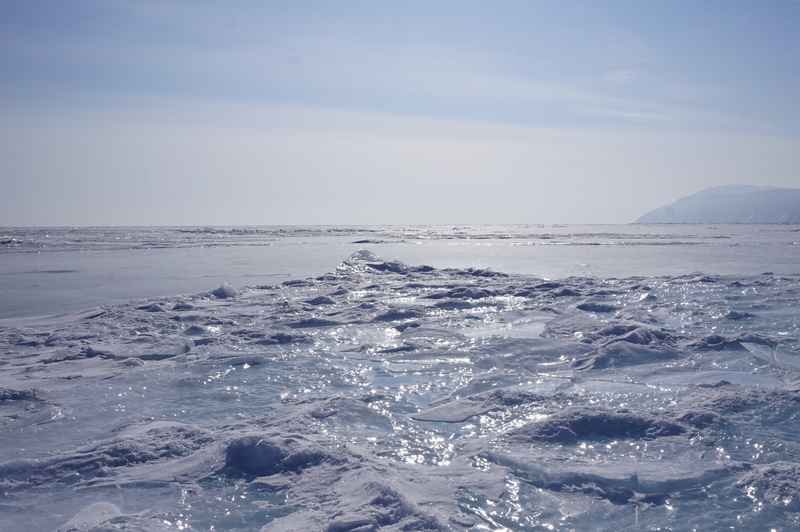 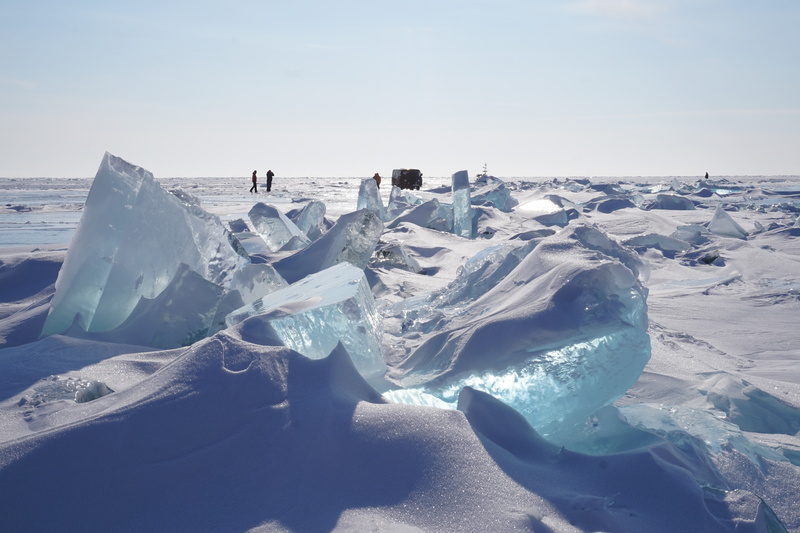 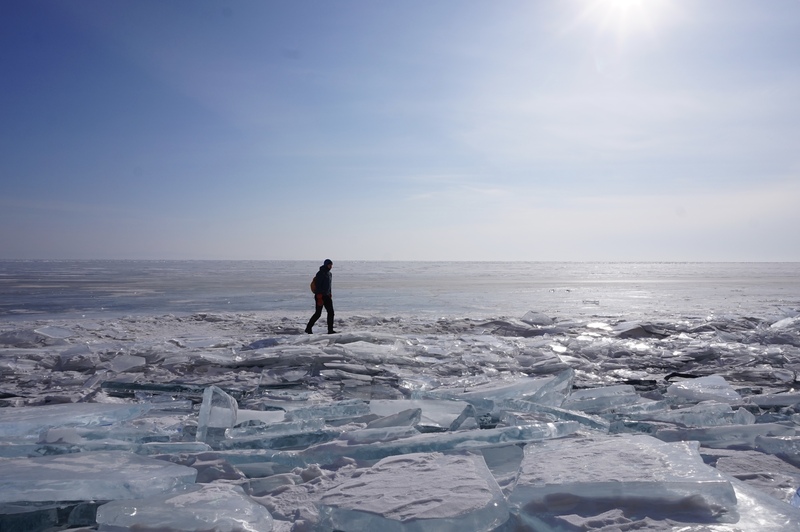 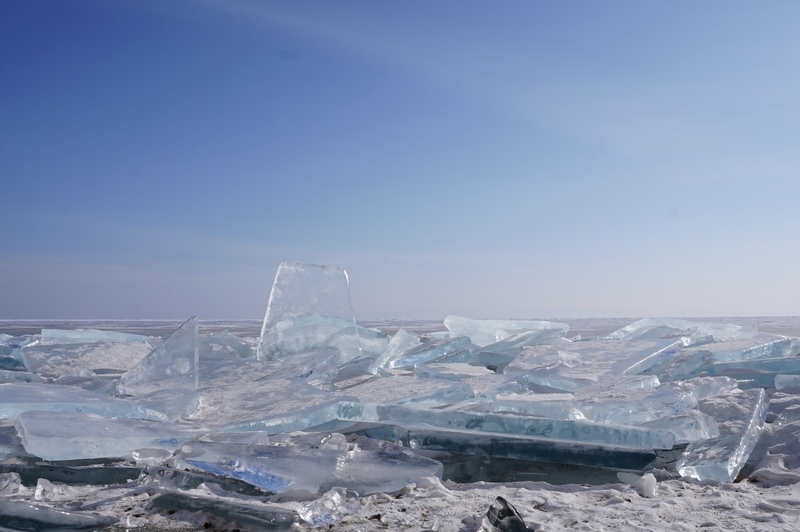 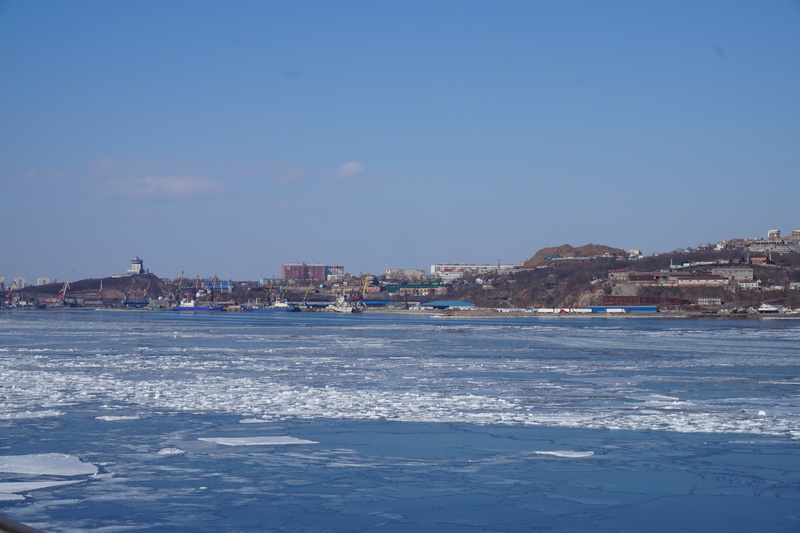 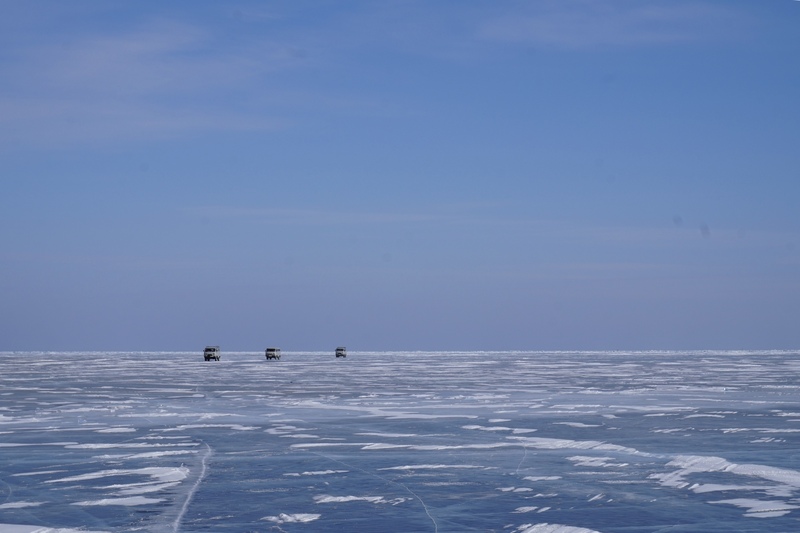 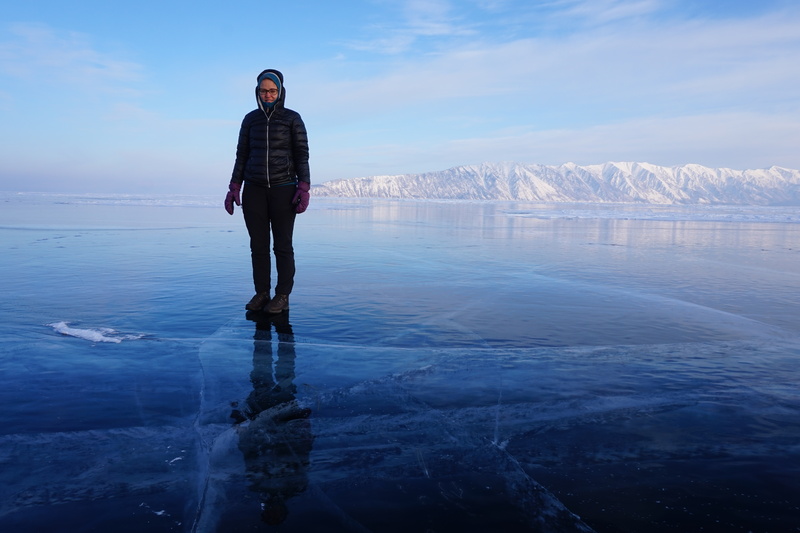 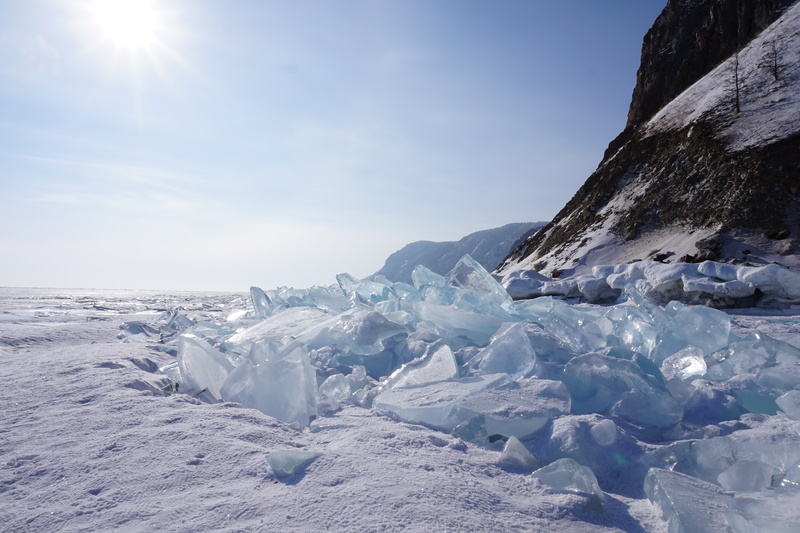 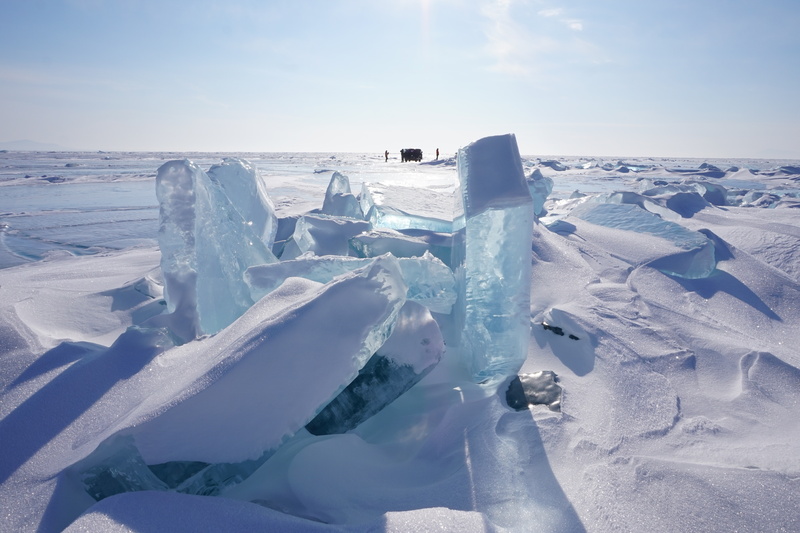 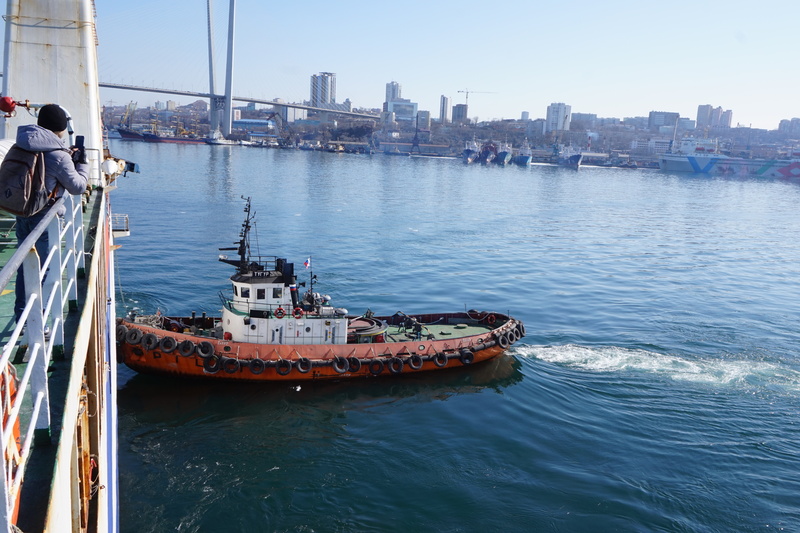 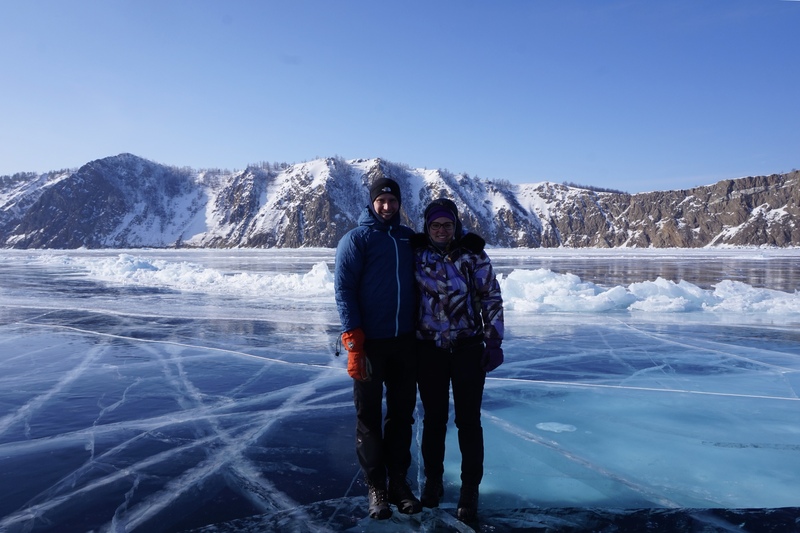 The shore of Olkhon Island breaks the ice. 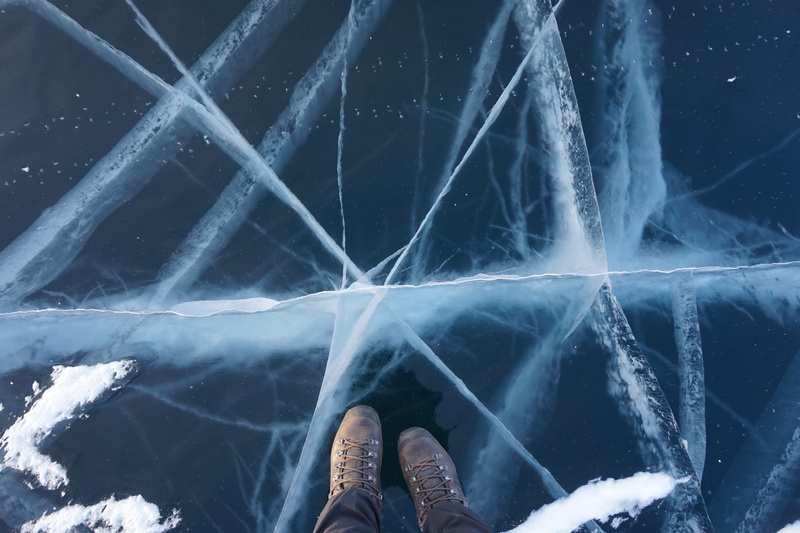 Thick crack just opened, the water is not frozen yet. 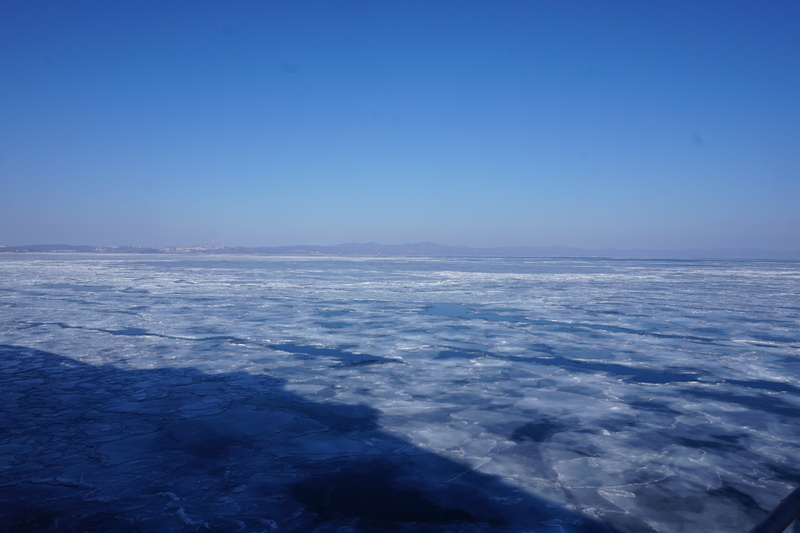 When the ice is clear it gets a deep black color because of the deep lake. 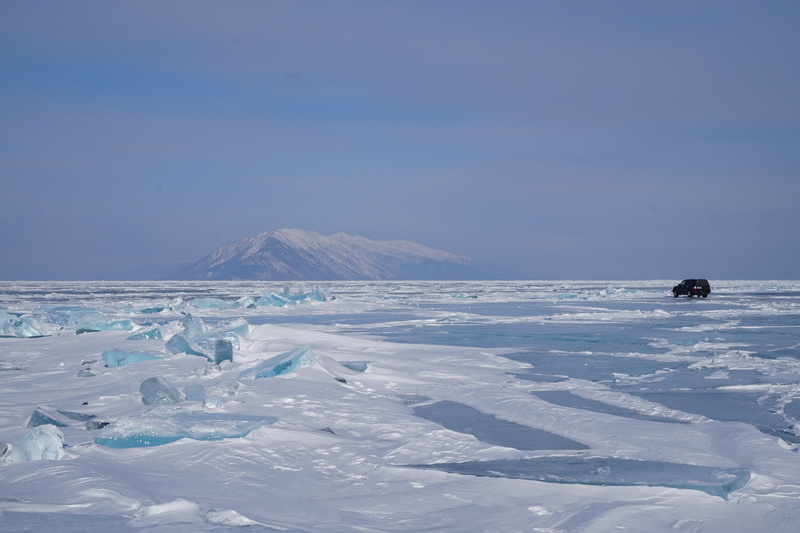 Holy Nose Peninsula in the background. 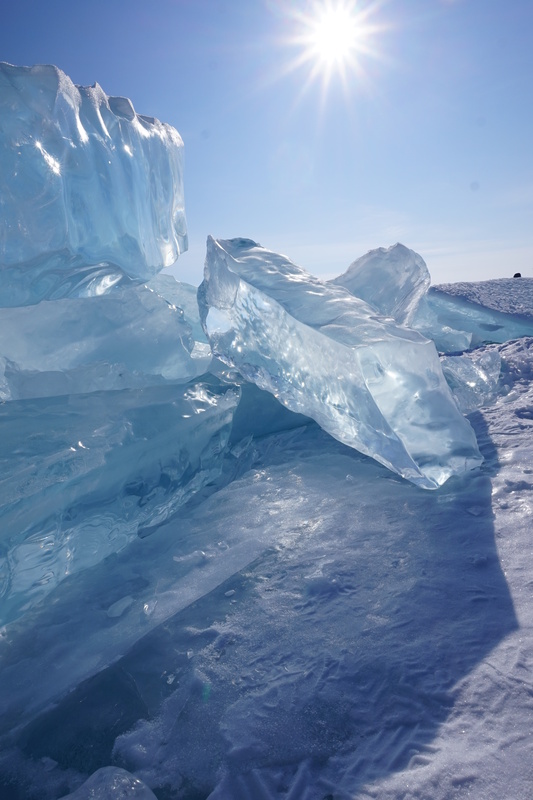 The sun gives the ice it’s famous blue color.